There's a critical need for service dogs and support animals but lately some people say it's getting out of hand. 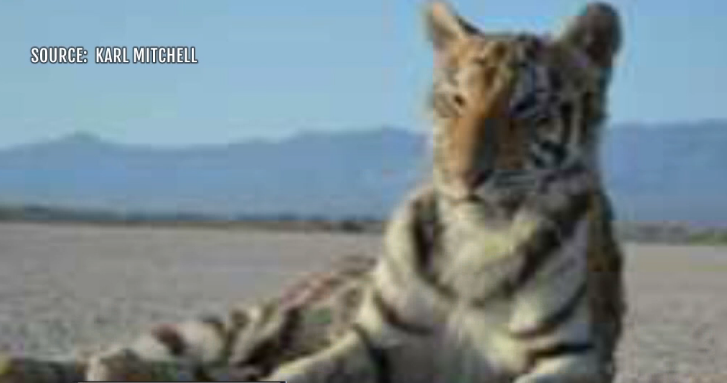 Now a Nye County veteran says the sheriff may be trying to take away his emotional support tigers. Vietnam veteran Karl Mitchell says the 10 tigers at his Pahrump home provide emotional support from the trauma of war. "In my case I have PTSD," says Karl. "And my doctor has written that she feels that the tigers are beneficial to my psychological well-being and so therefore I got what the law requires." Mitchell says this isn't new. He's used the tigers for emotional support for years. But documents submitted by the Nye County Sheriff's Office to county commissioners show the sheriff is denying Mitchell the permits he needs to keep exotic animals because he failed to pay fees. He told authorities he wants those fees waived under the Fair Housing Act as he claims the tigers are emotional support animals. But he told us it's not about the money. "If they don't want to go by their own rules and they want us to pay, then we will pay. It's not that big a deal." Mitchell says it's a fight for his rights. "I have a right to have them regardless of the emotional support situation," Mitchell explains. "And the right to have them as property in Nye County as a private person. I have that right." The Sheriff's Office declined to talk on camera before Nye County Commissioners take up the issue. County records claim Mitchell continues to possess Special Conditions Animals without required permits from Nye County or the U.S. Department of Agriculture. Mitchell used to have a USDA license but it was revoked years ago for multiple violations of the Animal Welfare Act. Now, he claims he doesn't need anything from the feds. "Only if I'm involved in a business. If I'm doing a movie job or a stage show with a magician, you have to have licenses for that stuff. But for me as a private person with my personal animals? No." County records refer to numerous photographs of Mitchell's animals with celebrities posted on social media. Authorities allege he was "illegally exhibiting his tigers," which he refutes. "This could be considered exhibiting. I don't think I'm exhibiting. I think I'm doing a news interview." He claims the celebrities, like Golden Knights player James Neal, are his friends who visit his property and take pictures with his pets. "My personal friends who happen to be famous can come and visit me. And there's no proof that anybody paid me anything." But authorities say they do have proof. County records show magician David Goldrake paid Mitchell $750 to bring a tiger cub to the Tropicana hotel for his wife's birthday. "We agreed to go and take a visit and see them for 10 minutes at the close of their show," say Mitchell. "A donation is a donation," says Karl. Mitchell's Big Cat Encounters ranch is described on his website as "a private shelter not open to the public." But he does solicit money, saying his operation "survives solely on donations." The sheriff is also concerned about public safety, referring again to social media photos showing what they describe as "tigers loose on public lands." Authorities call it, "...irresponsible, careless and NOTHING less than a serious public safety concern." "After 30 years of supplying animals of every description and size," Mitchell refutes, "I more than anyone know and understand what the possibility for risk to the public is. I also know not to expose the public to these animals in a way that they might be injured." Mitchell's attorney Arlette Newvine claims the sheriff is trying to mislead Nye County Commissioners, saying the permit problems began when the Sheriff's office took over Animal Control and started making changes. "He's done everything successfully in the past to get his permits," explains Newvine. "He did the same thing this time and now they won't give him his permits." She questions what will happen to the tigers if Mitchell doesn't get his permits. "Do they have the experience that Karl does? Are they going to be able to provide the type of care that Karl gives them? They're never going to have the bond that Karl has with them. And his wife as well. So I don't know the answer to that question and I don't think Nye County knows it either. Nye County commissioners will have a hearing on all this on November 20th. We called them all but only one would comment, saying Karl Mitchell is smart and knows what he's doing with the tigers but he has to follow the law when it comes to permits.